There are an interesting selection of Phi Phi Hotel 3* on the main island of Phi Phi Don. They are mainly beachfront properties as the island is so mountainous that all accommodation is on the edge of the island. These hotels vary in size from 20-80 rooms. Phi Phi island is a low rise destination.... try it you might like it. The main location for the Phi Phi Hotel 3* is Phi Phi Don Village. This is where the main pier takes in the Phuket, Krabi and Koh Lanta ferries. 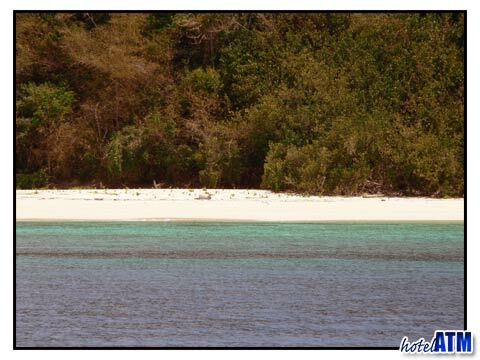 It is also the main spot for divers and joining tours of the islands and beaches. The village is also where you can find a wide a selection of restaurants, cafes, bars and the normal selection of shops and souvenirs stands that make a trip to the village interesting. The north beach of the village, Loh Dalum, doesn’t have any 3* hotels but Tonsai Bay on the south does. Starting on the far western edge of the bay, the Mama Beach Residence sits under the ever impressive Tonsai Towers and is one of the islands better 3* accommodation. 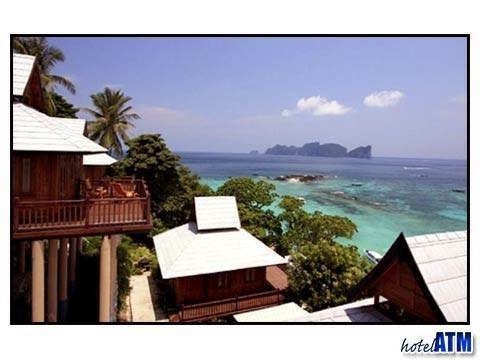 As you move to the main village the Phi Phi Hotel as a great reputation as the most convenient divers accommodation. The PP Palmtree Resort has some of the best rooms in the village around a central swimming pool courtyard. The ever popular Andaman Beach Resort is a favourite with many who enjoy a more laid back style and quieter atmosphere. The Andaman Beach Resort is popular with families. The other hotel resorts of note on this beach are the beachfront Phi Phi Banyan Villa right in the village that has a wonderful gym. The PP Andaman Legacy has a new wing of excellent rooms on the edge of its traditional bungalow complex centred on a pool. On Long Beach the Phi Phi The Beach Resort has outstanding views of Phi Phi Don Cliffs and the famous Phi Phi Ley Island where Leonardo Di Caprio made his movie The Beach on Maya Bay. Long beach is a 400 m sandy beach facing south with an extensive coral reef and warm and beautiful sea. The main other beach for Phi Phi Hotel 3* accommodation is Laem Tong in the far north of Phi Phi Don near all the luxury villas. The PP Erawan Palms Resort is a boutique resort around a beachfront pool that is easy going and comfortable. The Phi Phi Natural Resort is the most northerly accommodation and is spread over a large area with bungalows with plenty of space and pretty views out to the uninhabited Mosquito and Bamboo Islands just 2km off shore. If you are looking for Phi Phi Hotel 3* Deals you will find all the Free Night Specials, Fixed Night Promotions, Special Discounts, Early Bird and Honeymoon offers here. If you put in you month of travel it will filter all deals for that month. Conversely you can search the Phi Phi Hotel 3* list and look for the Free Night Special red button on the top right hand side navigation on each of your favourite hotels. This will lead you to any deals on that hotel.